Legacy Solutions - American Business Copiers, Inc.
Browse Legacy Solutions from American Business Copiers, Inc. 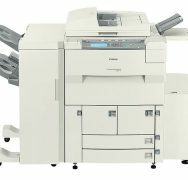 The 50-page-per-minute imageRUNNER 5020i prints, scans, and sends all in one compact device, allowing it to act as a central communications device for corporate departments and workgroups. 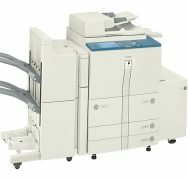 The imageRUNNER 5050 delivers advanced document handling and finishing capabilities to mid-to-high volume office environments operating at speeds up to 50ppm (LTR). 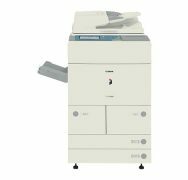 The imageRUNNER 5055 device offers advanced finishing capabilities and the latest Canon technology to mid-to-large-sized offices and departments. 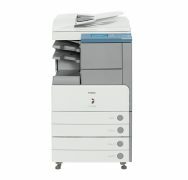 The MEAP-enabled imageRUNNER 5065 is a 65-ppm device designed for mid-to-high volume office environments that require varied applications with advanced document handling capabilities. Featuring Canon's MEAP technology, the imageRUNNER 5070 delivers unmatched performance and durability to large-sized offices and departments. 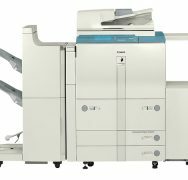 Operating at up to 75ppm (LTR), the imageRUNNER 5075 delivers advanced document handling and finishing capabilities to mid-to-high volume office and light production environments. The MEAP-enabled imageRUNNER 5570 is a 55-ppm device designed to provide total integration with office workflows and networks, as well as enhanced security and management capabilities. The 60 page-per-minute imageRUNNER 6000 offers document production and distribution capabilities that can have a significant impact on how well an organization makes use of its information resources. 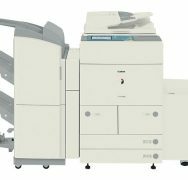 The 60 page-per-minute imageRUNNER 600V provides departmental offices with a powerful solution for all of their high-volume copying needs.